Google has brought its popular Doodles to mobile phones, with Android and iOS handsets the first to get the colourful search logos. 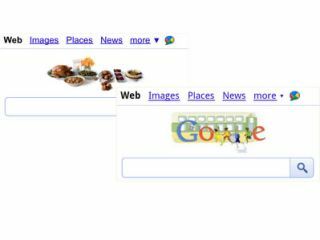 Google Doodles are the name given to the small images used occasionally to replace the traditional Google logo on its search page. The Doodles have normally been put on to mark key events, and they will now be seen on smartphones like the iPhone and Android handsets. "While we've had oodles of Google doodles on our desktop homepage since Larry and Sergey created our very first in 1998, doodles on our mobile homepage have been few and far between," blogged Google's Steve Kanefsky. "Today, we're happy to announce that we're bringing more doodles to your phone, beginning with Android 2.0+ and iOS 3+ devices worldwide. "In fact, almost all of the doodles we show on our desktop homepage will now have corresponding mobile versions on these phones. "When the doodles are available, just go to google.com in your mobile browser to see them." Google Doodles have featured everything from the Queen to Agatha Christie to Michael Jackson - we just pray Justin Bieber never makes an appearance.